The Verzasca Group plans a 19-story luxury tower at the site of a Denny’s on Collins Avenue in Sunny Isles Beach, on the west side of the street that has seen little in new residential projects, The Real Deal has learned. 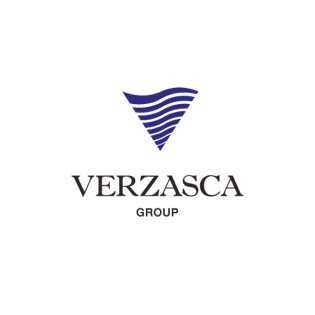 The planned development, at 17550 Collins, will have 76 units, priced from below $1 million to just under $2 million, said Gennady Barsky, executive chairman of the Verzasca Group. Architect Luis Revuelta of Revuelta Architecture International is designing the project. The tower marks the third project in the United States for the Russian developers, who plan to invest $700 million on South Florida projects. The group has two developments underway in Bay Harbor Islands, Pearl House and Le Jardin, which are each nearly 50 percent sold, Barsky said. Verzasca also plans to develop “the tallest building in Edgewater,” he said. The “iconic” building will be designed by a “world renowned architect,” Barsky said, declining to disclose the designer. For the Sunny Isles tower, Verzasca purchased the .99-acre Denny’s property from Sal Ganem Inc., headed by Salah Abi Ghanem, according to Miami-Dade property records and Florida corporate records. The same private owner sold the group its Bay Harbor sites, Barsky said. The Sunny Isles price was not disclosed. “This is the first new construction on the west side of Collins in many years,” Barsky told TRD. Units will average 1,600 square feet, and will be priced at less than $1,000 per square foot, compared to $1,500 to $2,000 per square foot on the ocean, Barsky said. The project will have a pool facing the water and street-level commercial retail and restaurant space. Sales are expected to launch in August. “It’s probably the most exciting thing about the west side — consumers are not going to be paying the astronomical prices in today’s market, but will still have fully unobstructed views of the water, and every apartment is going to have an oceanfront view,” Barsky said. The group will soon submit its application for development approvals to the city of Sunny Isles Beach, said attorney Steve Bassin, a Russian-speaking shareholder with Greenberg Traurig, who represents Verzasca and several other Russian developers in the market. Bassin said he expects other developers to discover the west side of Collins Avenue as land on the ocean side has become scarce. The city has seen property values rise, amid an influx of Russian and Latin American buyers.